Sandy beaches, good food, great hotels and incredible live music concerts are waiting for you in Greater Fort Lauderdale, Florida. If you like free music festivals, then you’ll love Friday Night Sound Waves. 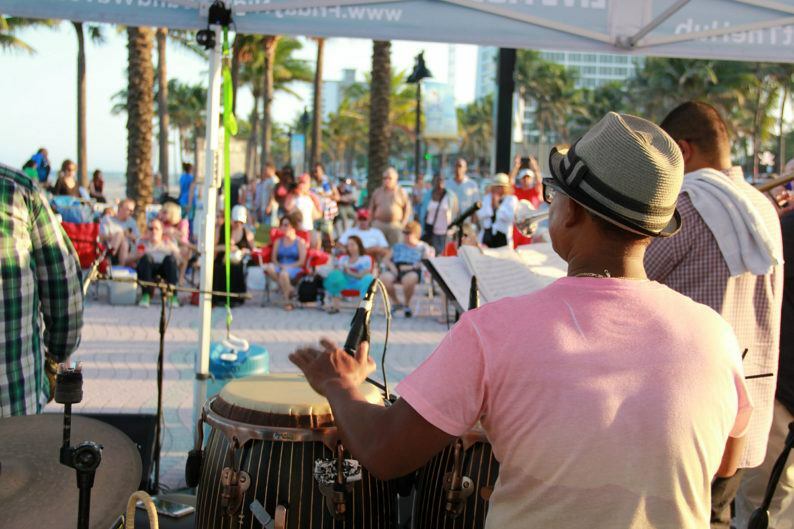 This 36-week live concert series in Fort Lauderdale is THE place to enjoy the South Florida tunes. 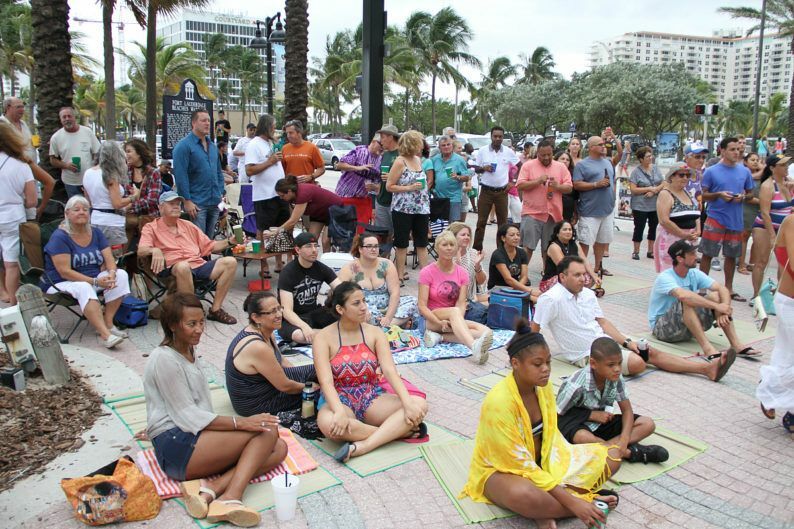 South Florida artists jam out to jazz, blues, country, Latin fusion, Top 40, reggae, world and classic rock on Fort Lauderdale Beach during the Friday Night Sound Waves FREE concert series. All ages are welcome, making this a fun family activity. This music festival is sponsored by some generous Fort Lauderdale businesses. This year, Southwest Airlines has joined the fun to celebrate its newly added flight destination options from Fort Lauderdale. What’s more, Friday Night Sound Waves gets a five-star ranking on TripAdvisor! Enter the Great Beach Getaway Giveaway! Sweepstakes ends June 30, 2017. You must be at least 21 years old and a legal resident of the 48 contiguous United States or the District of Columbia to enter. Read all rules here. Great Beach Getaway Giveaway winners will be announced on July 7, 2017 live from Friday Night Sound Waves on Hello Sunny TV. This online TV network can be viewed on your computer or via Apple TV. In addition to this online sweepstakes, locals and travelers attending Friday Night Sound Waves can register to win free air travel from Southwest Airlines on select concert dates in June and July. 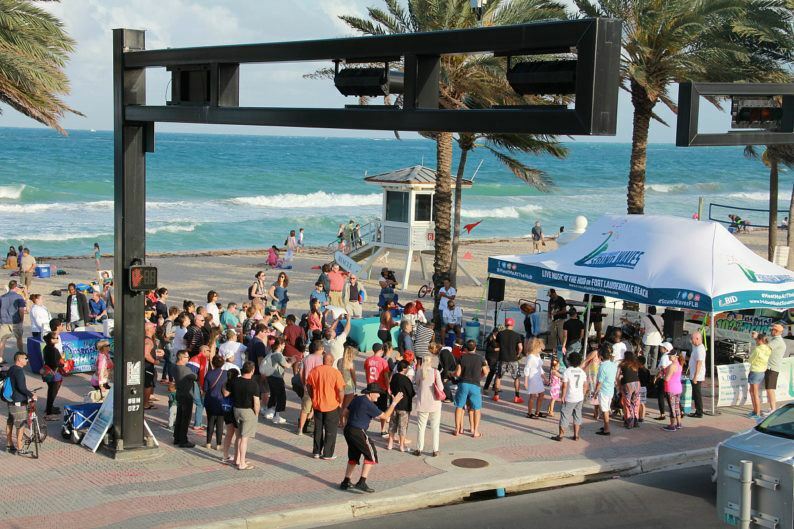 If you’re lucky enough to attend one of these sweet concerts, you could also win weekly drawings for various Fort Lauderdale Beach experiences. Talk about win-win! 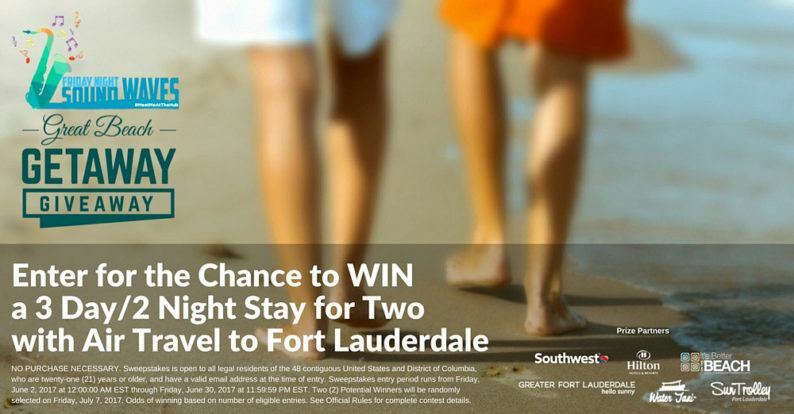 The second annual Great Beach Getaway Giveaway is sponsored by Southwest Airlines, Fort Lauderdale Hilton Hotel properties, the Greater Fort Lauderdale Convention and Visitors Bureau, Water Taxi Fort Lauderdale, Sun Trolley and members of the Fort Lauderdale Beach Business Community. This story is brought to you in partnership with Friday Night Sound Waves, the Great Beach Getaway Giveaway and their sponsors. Wow. it sounds interesting. I love to watch the concert.